A native of San Francisco, Adelle-Akiko Kearns started playing the cello at the age of 11 and continued her studies at the San Francisco Conservatory of Music and the Juilliard School with Irene Sharp, Bonnie Hampton, Sadao Harada and Joel Krosnick. The recipient of a prestigious Artists International Award, Adelle made her New York recital debut at Carnegie’s Weill Hall in November of 2008. In 2006 she performed the Japanese premiere of the Korngold Cello Concerto with the Tokyo Philharmonic, and was invited back to perform the Dvorak Cello Concerto with them the following season. Other solo appearances have been with the Juilliard Conductors’ Orchestra, the West Valley Symphony (Arizona), the San Francisco Conservatory of Music Orchestra, the Contra Costa Chamber Orchestra and the Pacific Chamber Symphony. She has participated in masterclasses with Mstislav Rostropovich, Raphael Wallfisch, the Tokyo String Quartet, Paul Katz, David Finckel, Robert Mann, Menahem Pressler, Norman Fischer, Gilbert Kalish, and with Bernard Greenhouse at the 2000 World Cello Congress held in Maryland. 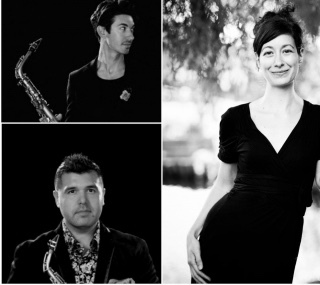 She has performed with acclaimed musicians such as Robert Mann, Jorja Fleezanis, Axel Strauss, Ian Swensen, Paul Hersh, Jodi Levitz, Andrea Bocelli, Johnny Mathis, Mannheim Steamroller and the Da Capo Chamber Players. 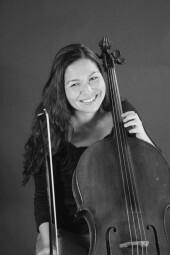 Currently the principal cellist of the Santa Rosa Symphony, assistant principal cellist of Symphony Silicon Valley, the Stockton and the Monterey Symphony as well as a section cellist with the Marin Symphony, Adelle is also the former assistant principal cellist of the Louisiana Philharmonic Orchestra as well as a former member of the Tokyo Symphony in Japan. During the summer she has participated in festivals such as Midsummer Mozart, Music in the Mountains, Saito Kinen, Tanglewood, Aspen, Spoleto, Yellow Barn, Schleswig-Holstein, and the Suntory Hall New Music Festival.